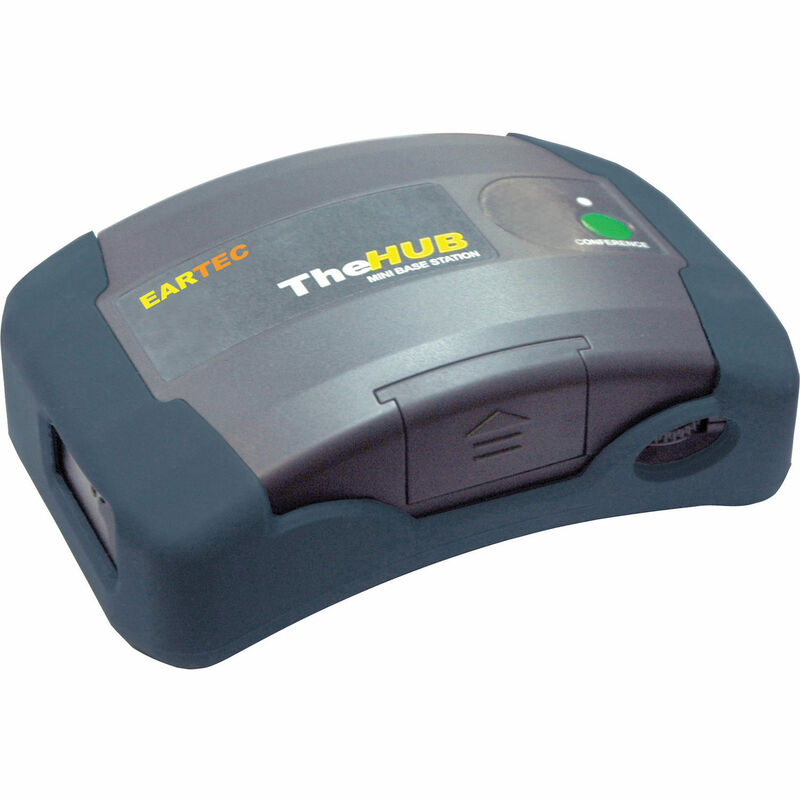 Expand the capacity of UltraLite wireless headsets with the HUB Mini Duplex Transceiver Base for 1 Plug-In & up to 6 Wireless UltraLITE Headsets from Eartec. This transceiver can be used when on-the-go as it comes equipped with a LiPo battery or it can be plugged-in using the included AC adapter. Regardless of how you power it, the HUB offers 1/4-mile range along with two channels of communication as well as DECT technology making it easy to stay connected across the job site. Box Dimensions (LxWxH) 9.3 x 4.5 x 3.6"